2 Bedroom Mews House To Rent in London for £2,925 per Calendar Month (Calculated). 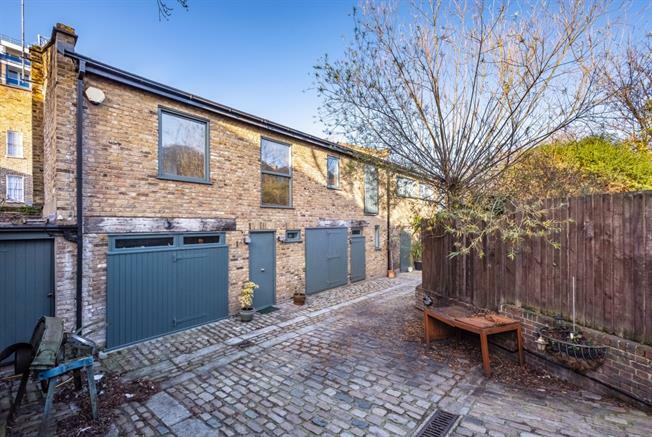 An exceptional end of terrace Mews House in this exclusive and secure gated development convenient for Kings Cross and with easy access to Angel and Upper Street. Comprising two double bedrooms, the master bedroom being en-suite, the second bedroom has excellent proportions and is currently uses as private study, however this room can be adapted as a comfortable second bedroom. On the upper floor is an impressive open plan living room with high ceilings, wood floors and contemporary fitted kitchen with breakfast area.